When I picked the Potter Style Writer’s Block journal up off the shelf at Barnes & Noble, it was the only one of its kind there. There was no other journal centered around a pun, no other journal that looked like a small piece of wood. I stood there staring at it—wondering if I really needed another journal. And I didn’t. But it was unique to the shelves, and I couldn’t put it back down. 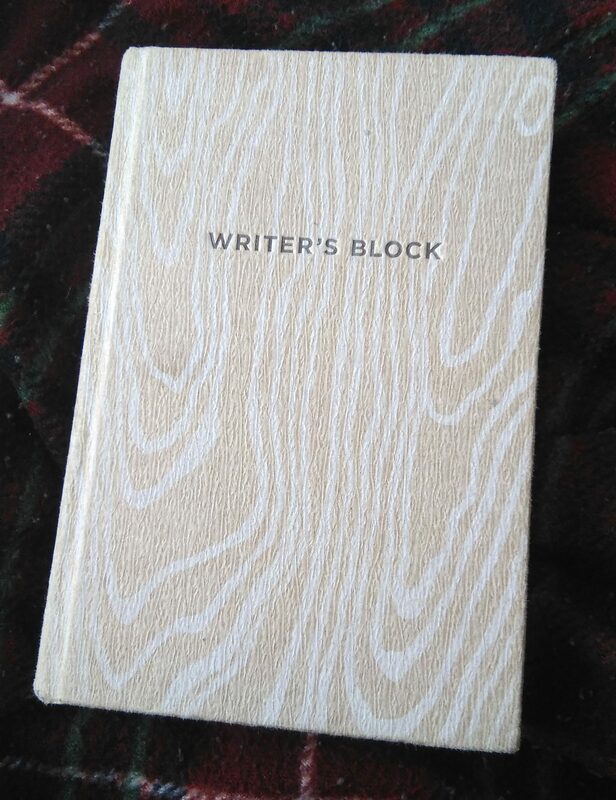 Released on the Penguin Random House site in 2014, this little “block of wood” has over 300 blank pages for you to write, doodle, and do pretty much whatever you want with. You can buy it for $14.95 from Penguin Random House, but it’s also available on Amazon and the Barnes & Noble website. And let’s be honest: There’s no pun-lover out there who can refuse this journal. Not only is it straightforward about its purpose—ideally being able to be used for all of your “writer’s block” moments—it’s also, quite literally, a writer’s block (of wood). Overall, I’m quite impressed with the durability of this journal. I’ve had it since the beginning of December 2016. The textured cover and binding are made of a thick cardboard that can withstand being bent, dropped, and—if you’re like me and like to rest your arm on your journal while you write—leaned on. And, best of all, it actually feels a little bit like wood. The wood-colored grain is raised off the cover, leaving the impression that you’re running your fingers across a nearly un-sanded chunk of wood. The only qualms I have with the design and material of the cover are: 1. The binding angles itself after a bit of use, so the journal is no longer perfectly aligned; 2. the way it bends shoves the bottom into the table/desk the more pages you use, making it feel like you’re writing on something that’s precariously perched on a ledge; 3. the further into the journal you go, the more the binding separates itself from the edge of the pages; and 4. the journal starts to pop open on the last page you were writing on—possibly because of the nature of the binding and the fact that, when you write, you hold the journal open at a certain point for extended periods of time. Potter Style attempted, but didn’t succeed, to do something with their binding that Paper-Oh did quite flawlessly—and a lot of that may have to do with the material that was used. 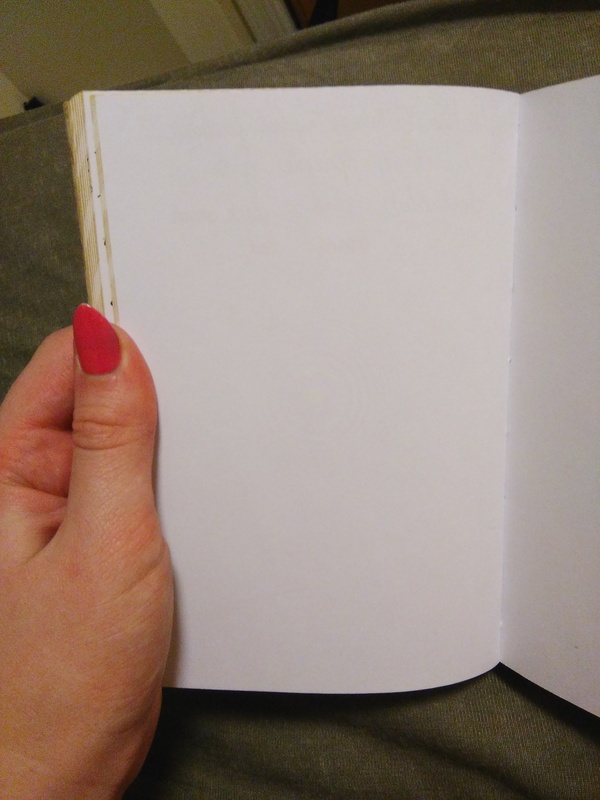 Paper-Oh’s notebooks have the same style binding: stitched pages with binding that pops away from the pages when the journal is open. Paper-Oh’s material, though, was similar to a thick cardstock. 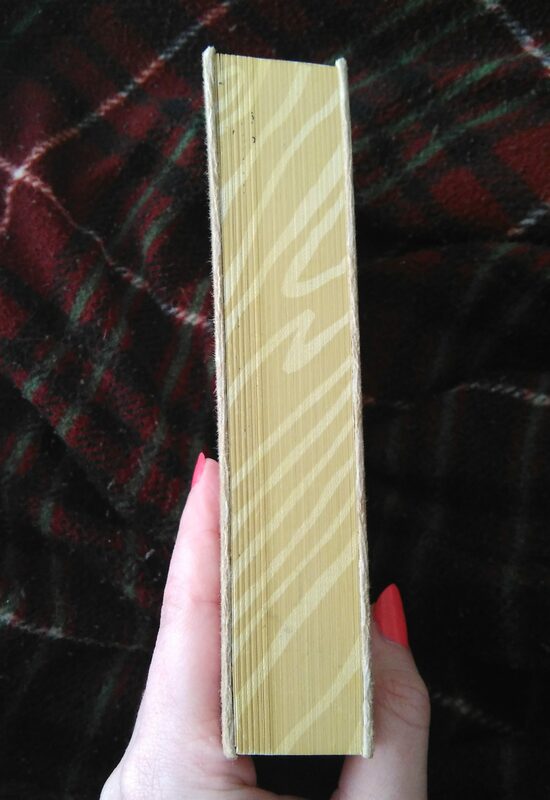 Their binding was able to separate and still lay flat against the table, whereas Potter Style’s cardboard cover doesn’t bend with quite as much ease and forces the journal off of the surface. All that considered, this is one of the best journals I’ve found thus far to practice my script in. I realize this may be odd since many prefer to have lines so they can make sure the writing is straight—but this has more to do with lines than it does with paper quality. The paper is smooth, no ridges or bumps, and allows the writing to be very fluid. I tested out my quill and my new pen set on the pages, just to give an idea of how certain colors show up and how—with different writing tools—there’s no need to pick the pen up off the page while you’re writing in script. The paper proves to be really thick, too. 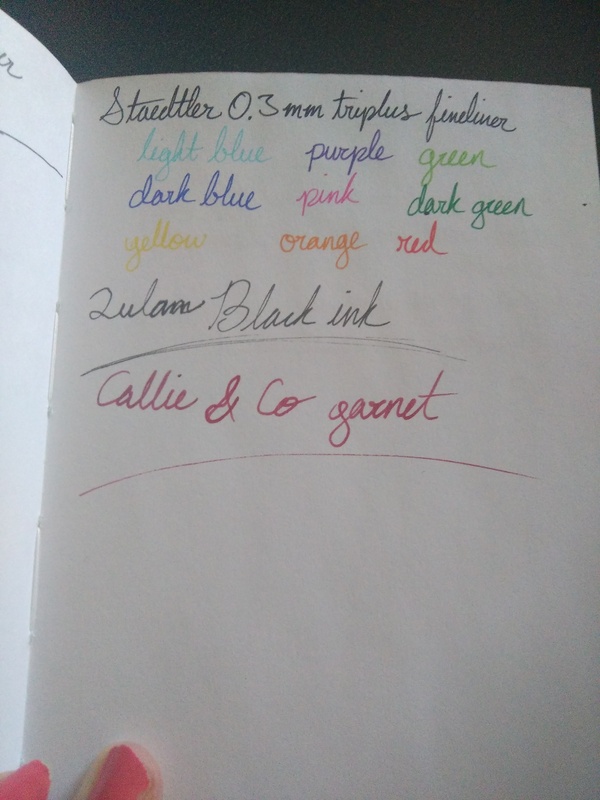 I didn’t expect any bleed-through with the Staedtler Triplus Fineliner pens—being that they’re so thin and are labelled “dry safe.” But I was rather pleased that both my black ink and garnet ink (of different brands) didn’t bleed through the page. You could hardly even see the writing from the other side. I couldn’t say the same for my small Moleskine (now lost somewhere in the confines of my parents’ house). It was similar in size, but my writing showed through from the other side quite easily and, if there was a bit too much ink, the spots would (almost always) bleed through. It’s a bit odd, though, that one of my favorite parts about this journal is because of the fact the binding tends to offset itself. 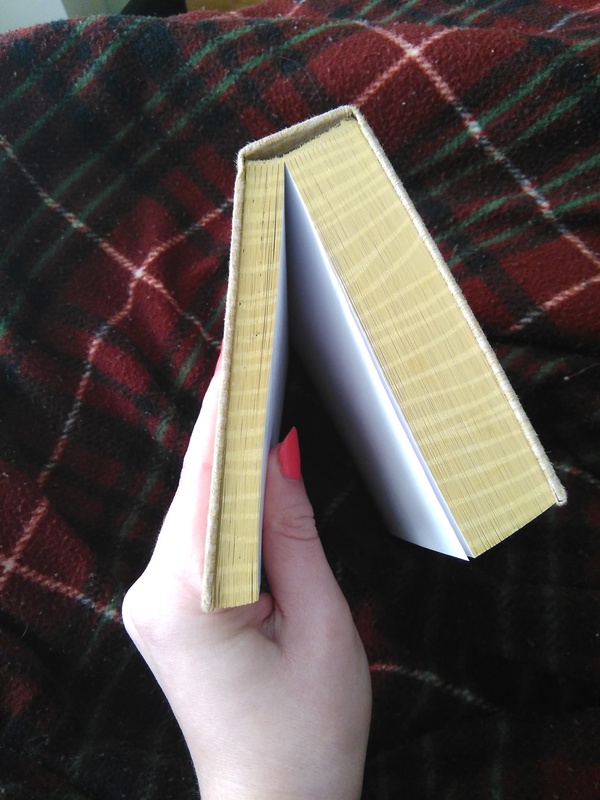 Because of how the binding works, this journal acts as its own bookmark. The pages that you’ve bent and written on stick out in various fashions—not in an obnoxious, unbearable way, but in a “Yeah, this has definitely been used” sort of way. The edges wave a little, making it easy to track where you’ve been and find the last page you left off on without using a physical bookmark.